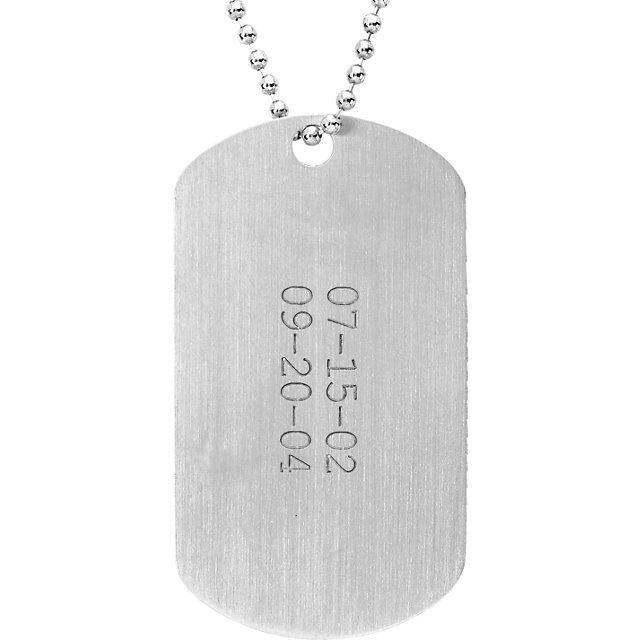 Engrave this quality .925 sterling silver dog tag necklace with your choice of letters on both front and/or back. Includes matching .925 sterling silver ball chain. Measures approx. 2" tall (50.75mm) x 1 1/4" (28.75mm) wide. Customize it on 1 or 2 sides with up to 15 characters per line. Font choice of Block or Old English. Front side will automatically include "&" symbol between names, unless you specify otherwise. 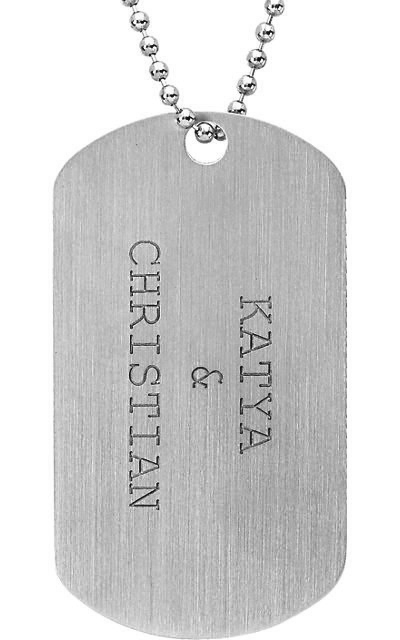 We guarantee our Engraveable Dog Tag Necklace in Sterling Silver to be high quality, authentic jewelry, as described above.